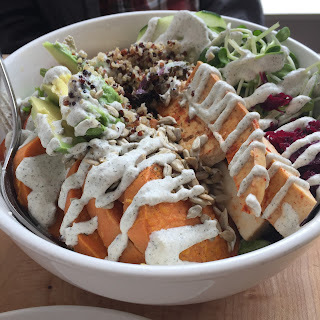 If you eat solely a plant-based, vegan or vegetarian diet, you've probably encountered this scenario as well: You're invited to lunch or dinner with a group of your friends, co-workers, family etc. The restaurant they choose has little to no vegan friendly options. It never fails that someone in the group says "they have salad" or "oh, you can't eat that can you?" My first thought is "Yippee, they have salad. Because that's all I eat." I try not to get too offended by these comments, but sometimes it does get to me. If you have a polite, non-snarky response that works for you, please share it with us! And if you are one of our meat eating readers, please try to remember that even though you may find our diet unusual, we truly aren't aliens and we're really not that different than you, with the exception that we don't consume animal products. We love stuffing our faces with delicious meals, snacks and desserts and while we adore cute little bunny rabbits, we don't necessarily eat like them. Our appetites are just as adventurous as yours, and we sure don't want our meals to be bland and boring. With that being said, when we do eat salad we do it up right! From a wide choice of greens and toppings, to our flavorful, homemade salad dressings made with all natural ingredients, our salads tend to be the main course and not just a puny little side dish. And now, without further ado, please enjoy some of our favorite dressings. They can be whipped up quickly and will keep in your fridge for about 1 week, but once you taste them I have a feeling they won't last that long! You can also toss in a few sprigs of cilantro, Italian parsley, tarragon, and chives if you have them on hand. I'm not a a fan of cilantro, so I leave it out, and I usually just sprinkle in a tablespoon of Italian Seasoning if I don't have fresh herbs on hand. *If you aren't strictly vegan, you can use a plain Greek Yogurt. I suggest Fage. Combine all the ingredients in a powerful blender until completely pureed. This dressing also makes a fabulous veggie dip! Whisk together the mustard, vinegar & maple syrup in a mixing bowl; slowly add the olive oil and continue to whisk. 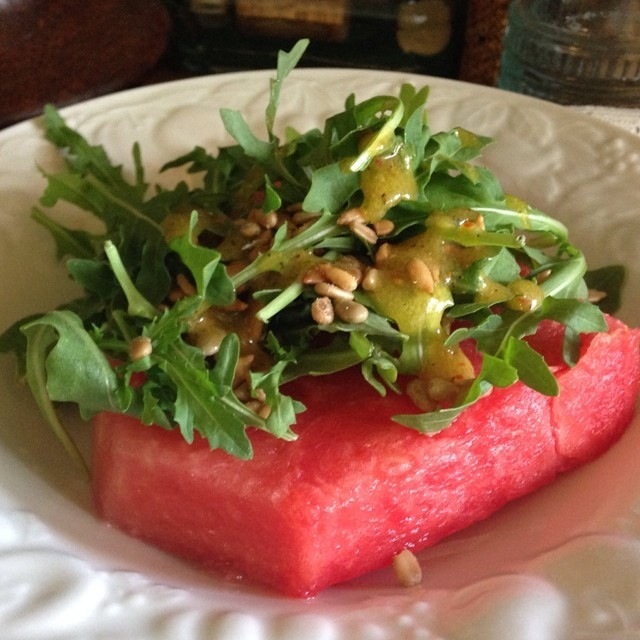 This simple yet delicious recipe is the perfect portion for a couple of salads. 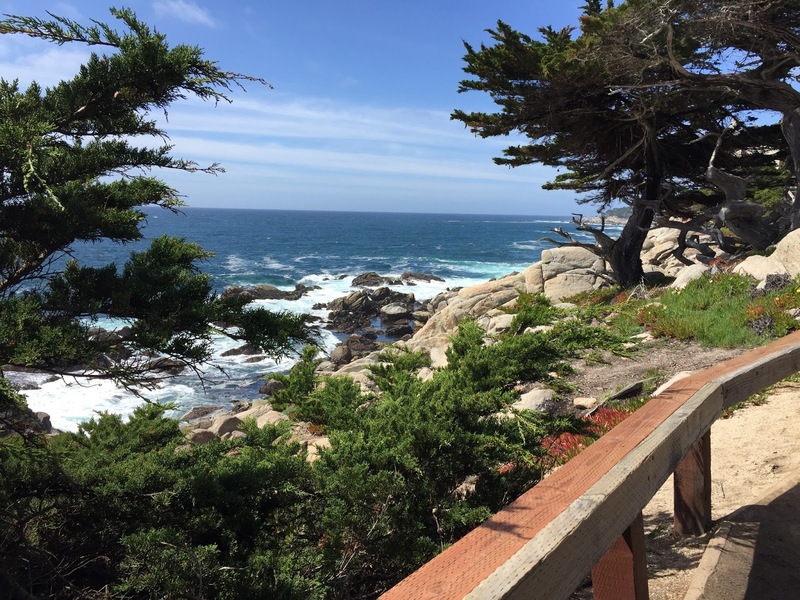 Pack up your salad and a comfy blanket, and find a lovely spot to have a picnic like we did here at Pebble Beach in beautiful Monterey, California last month. I hope these quick and easy recipes encourage you to ditch highly processed store dressings in exchange for a much healthier, delicious salad experience!